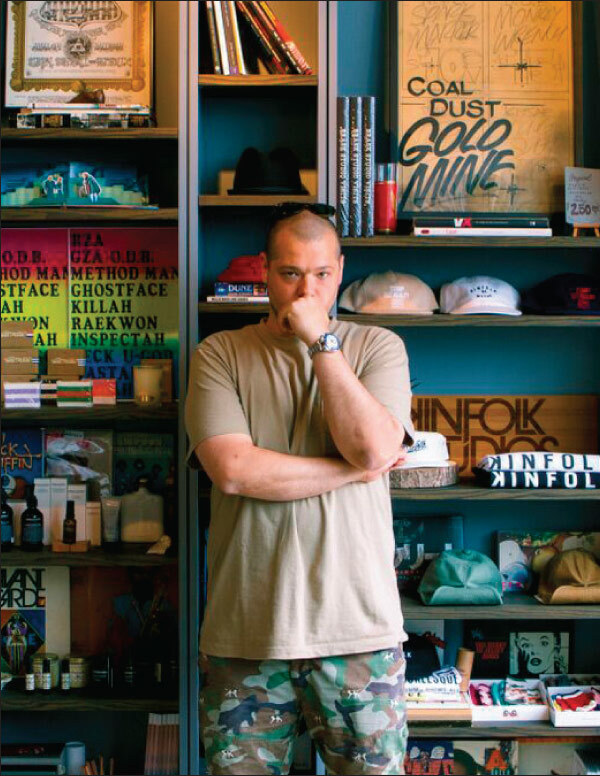 John McPheters, cofounder and CEO of Stadium Goods, a New York sneaker consignment boutique, delivers the Dos and Don’ts that led to his dream job. Dear JDM, Right now, you’re 21 and the future is an unsolvable riddle, looming over your shoulder like a box you can’t open and a choice with only one right answer. Rather than take a leap, you focus on what’s right in front of you: hanging out with friends, running through train yards, throwing up tags, plotting out dreams and soaking up all of New York’s street culture. Know that all those experiences aren’t a waste of time. They make you who you will be. If you know that, maybe you’d gain the confidence to follow your passions even earlier than I did. I figured that out just 8 years ago, at age 30. That’s when I pivoted from media research to marketing and business development. That’s when I followed two of my passions—sneakers and streetwear—and opened Stadium Goods, a consignment mecca where our team sources, authenticates and curates the best selection from around the globe. It’s a dream job, and one that I do alongside my friend and business partner, Jed Stiller. Now how did you get here? First off, understand that it’s not as important to pick a destination as it is to develop the tools to get you there. Trust that if your fundamentals are in place and your foundation is strong, you’ll do great things no matter what route you take. Believe in yourself, but don’t believe you know all the answers. Here’s a Dos and Don’ts checklist for guidance. 1. Do the work and be humble. Work your way up through internships and entry-level jobs. Do the dirty work, and always ask for more. It’s the long game, but it separates the best from the rest. Your talent and hard work will make you shine, but humility makes you stand out. Provide value for people, first and foremost. 2. Do the side hustles. Living in New York, the access to power and culture comes at a high cost of living. Find alternate income streams. This is the new reality: you need a main job, part-time jobs and freelance gigs. The added financial buffer allows you to take more professional risks. The diverse projects also give you a creative outlet. I knew my heart wasn’t in media research when I was 30, so I kept creating side hustles. Even now as a successful business owner, I cultivate multiple income streams. If you can do this at a young age, you can avoid decisions made out of necessity. 3. Do find mentors. It’s important to find people you can learn from, inside and outside of your field. They can be friends, old professors and coworkers. Searching for mentors is a long-term journey that requires time and effort. Don’t just surf through LinkedIn, asking executives to be your mentor. Work on building meaningful relationships that are mutually beneficial. For example, someone might have incredible experience but no time to follow the latest trends. Be their go-to grasshopper who always has his finger on the pulse—to be a sounding board, a talent scout, a sponge. Lastly, make sure you’re at a point in your life where a mentor’s advice can actually help you. 4. Don’t assume that the people are an endless resource for you to tap at will. Save requests and favors for things that are important, impactful and realistic. A pitch done right is focused, researched and states how the person might fit into your goals. It also respects the value of their time. 5. Don’t underestimate the power of community. As you build your career, the lines of social and professional will blur. I work with a network of friends that’s become an extended family of like-minded people. It’s not about liking the same music, going to the same bars or even working in the same field. Rather, find contemporaries who share your same work ethic, hunger, respect, moral code and family values. 6. Don’t have an unbalanced lifestyle. I’m still grappling with this one. Putting 110 percent into work and 110 percent into family leaves little on the table for diet, exercise and mental health. At age 21, that might sound like hipster nonsense. But neglecting any one of those things can bring all your dreams to a halt. Know that I’m going to focus a lot more on healthy habits in 2018. 7. Do appreciate life in every sense and understand how fragile it is. It’s easy to get carried away by your career and the status system in this industry. But as a man who started a family just one year before I started Stadium Goods, family comes above all else. Don’t blow past the special moments in pursuit of professional goals. Remember why you are working so hard. Nurture and enjoy friendships, as well. They are delicate and need water and sunshine. In all of life’s ups and downs—and trust me, there will be many—it’s the people around you who will carry you through. 8. Do be grateful at every stage in life. Whether you’re working in your dream job or just starting out, trust that you have the ability to direct your own destiny. Enjoy this journey and don’t be afraid to explore the road along the way. I’ll be right here with you.